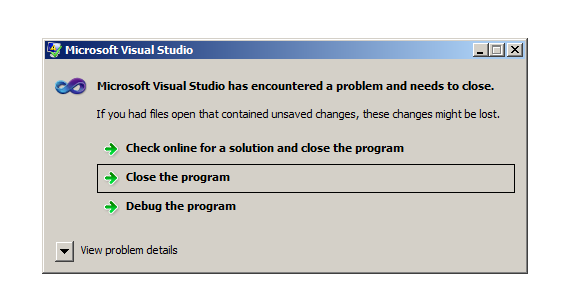 But due to the fact that I am in the process of transitioning the code base from Visual Studio 2008 to Visual Studio 2010 there really wasn’t much of a push to get this working, as I could simply jump back to my 2008 VM and check what I needed. Visual Studio 2010 SP1 crashes or shows the following error when attempting to view a build report on a TFS 2008 server: "TF50316: The following name is not valid. Verify that the name does not exceed the maximum character limit, only contains valid characters, and is not a reserved name"
Seemed to fit my problem exactly. I had installed Service Pack 1 for Visual Studio 2010 recently, and I don’t recall the build details screen working since then, and we are still using TFS 2008, so I thought I would give it a try, nothing to lose. Thankfully, once this fix was installed, the build details page started working again.